Roberto Bello wrote:The aim of this book is to present and describe in detail the algorithms to extract the knowledge hidden inside data using Python language, which allows us to read and easily understand the nature and the characteristics of the rules of the computing utilized, as opposed to what happens in commercial applications, which are available only in the form of running codes, which remain impossible to modify. 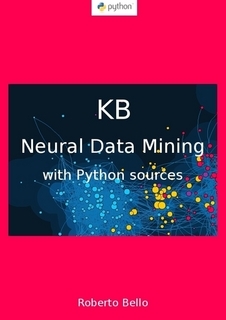 The algorithms of computing contained within the book are minutely described, documented and available in the Python source format, and serve to extract the hidden knowledge within the data whether they are textual or numerical kinds. There are also various examples of usage, underlining the characteristics, method of execution and providing comments on the obtained results.